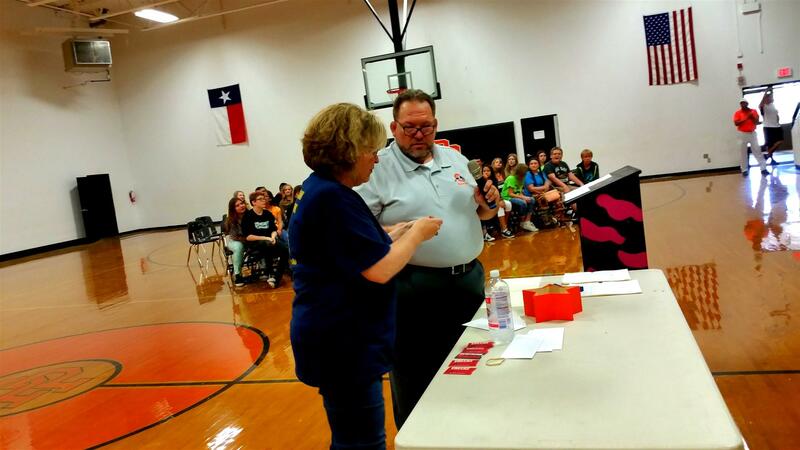 The Lake Ray Roberts Rotary club supports the Pilot Point Middle School by providing a drawing of five gift cards for PPMS students. All students with perfect attendance for the six-week grading period, have their names entered into the drawing. 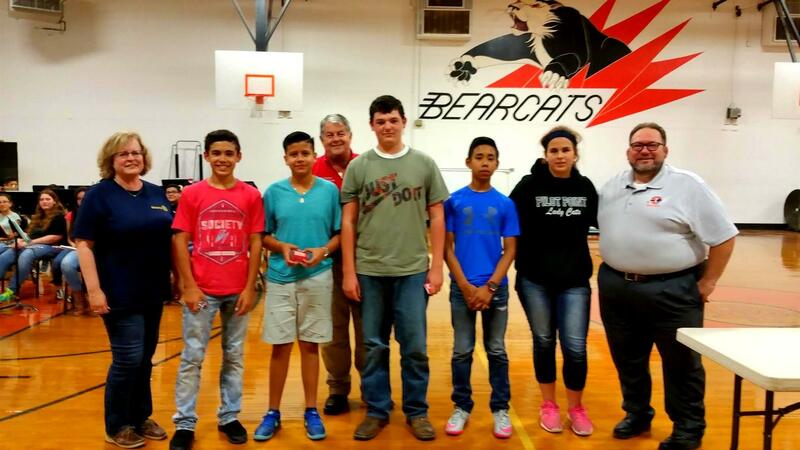 Yesterday, members of the Lake Ray Roberts Rotary club drew five names of PPMS students. Congratulations to these winners!